From April, UKTV will be the only channel in Australia to show all five UK soaps Hollyoaks, EastEnders, Coronation Street, Emmerdale and Doctors. They will screen in a two and a half hour block each weeknight from April 2 at 6pm with Emmerdale, Coronation Street and EastEnders screening one hour later than their usual on-screen time. There will also be double episodes of Coronation Street during March from 4-15 March and EastEnders from 18-28 March. 6pm Mon-Fri: The line up will kick off each week night with award-winning UK drama Doctors. Set at a busy medical practice, the long-standing programme follows the day to day events at Mill Health Centre in the Midlands. The dedicated staff constantly face medical and moral dilemmas, as well as struggling with their turbulent personal lives. 6.30pm Mon-Fri: Airing in the UK for more than 15 years, the award-winning Hollyoaks is a UK favourite. Take one village in Chester, add lots of gorgeous guys and girls, mix in some OMG storylines, sprinkle with the latest fashion and hippest tunes, shake well and serve. Never afraid to tackle controversial issues – with a healthy dose of laughs and love triangles thrown in too. 7pm Mon-Fri: Set in the picturesque Yorkshire Dales, Emmerdale has kept viewers entertained for over 40 years. The antics of the four key families – the Dingles, the Sugdens, the Pollards and the Spencers have seen the soap transform from a minor, daytime, rural drama into one of the UK’s major soaps and the second longest running drama-serial. Emmerdale is moving to the new time of 7pm weeknights from April 2. 7.30pm Mon-Fri: Coronation Street is the story of everyday life in a small, tightly-knit community. For over 50 years, this drama-serial has combined cult status with popularity and durability. 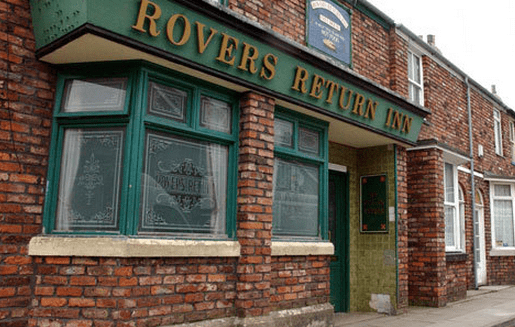 Incorporating believable characters, humour and themes of love, passion, deception and greed – Coronation Street is now the longest running primetime drama-serial in the world. This winning formula keeps it as popular with today’s youth as it is with their grandparents. Coronation Street is moving to the new time of 7.30pm weeknights from April 2. 8pm Mon-Thurs: Topping off the two-and-a-half-hour block is Britain’s favourite soap – EastEnders set in the close-knit, multi-racial community of London’s Albert Square. Bust-ups and bankruptcy, marriages and murders and triumphs and tragedies have kept fans glued to the screen for over 25 years. EastEnders is moving to the new time of 8pm Monday – Thursday from April 2. Tim Christlieb, Head of Programming & Production BBC Worldwide Australasia, commented “We are delighted to be able to respond to huge audience demand by adding Hollyoaks and Doctors to our line-up of great British soaps. By building the high rating and popular soap portfolio, UKTV offers Foxtel subscribers an unrivalled range of quality entertainment. My Mums a pensioner and can’t afford IQ. Wow thats a brave move…putting the soaps into primetime against free to air, but i guess so mamy people use iq to record and watch when they like that it doesn,t really matter. Also with +2 channel you can watch corrie/eastenders at 9.30/10.30 which is ok.
Wow, not too happy about the existing soaps moving an hour forward. Putting the daily soaps on after 7.30 will have them clash with weekly programs on the other stations. They would be better of starting the new soaps at 5.00.